The DUSTCLOUD is a mobile, first-person shooter (FPS) game played using GPS tracking (+ZigBee communications) and electronic ray guns called DUSTERS. 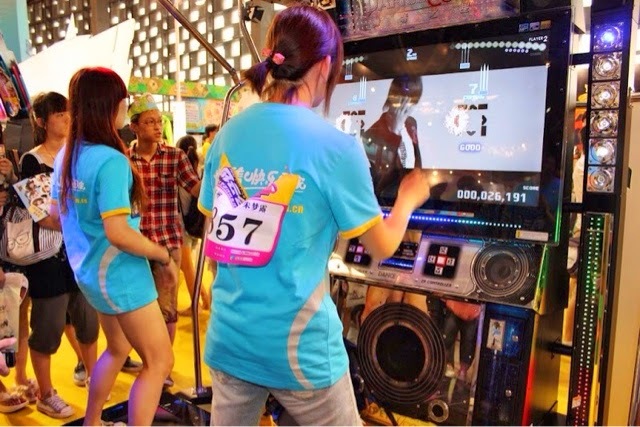 It’s a mobile #exergame played with others locally but can be played anywhere, by anyone, at any time. Your character and skill levels are seen in your player profiles as each team has roles that need to be filled like Broker and Cleaner. The object is to shoot other team members with your different colored (blue, green, red) guns (Dusters) before they shoot you. If you get shot, you lose your Speks (5 cents per shot) but the other person will capture your victim's Speks. 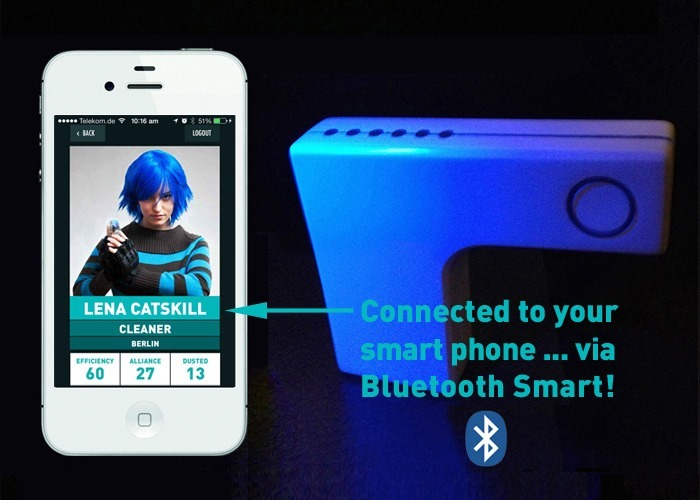 Paired to your mobile device via Bluetooth, this game promises to "track opponents, create alliances, see your friends, call on opponents for a match," call in reinforcements and bring an urban RPG game play to a whole new level. 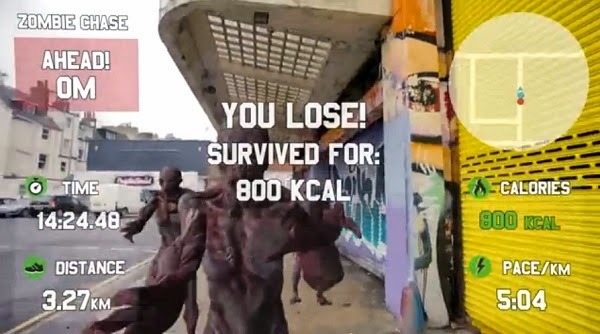 The combination of technologies including #wearabletech and #activitytrackers is truly a great step forwards and combining it with good stories and changing environments might increase player engagement and maybe one day surpass the 750,000 Zombies Run players currently out there. 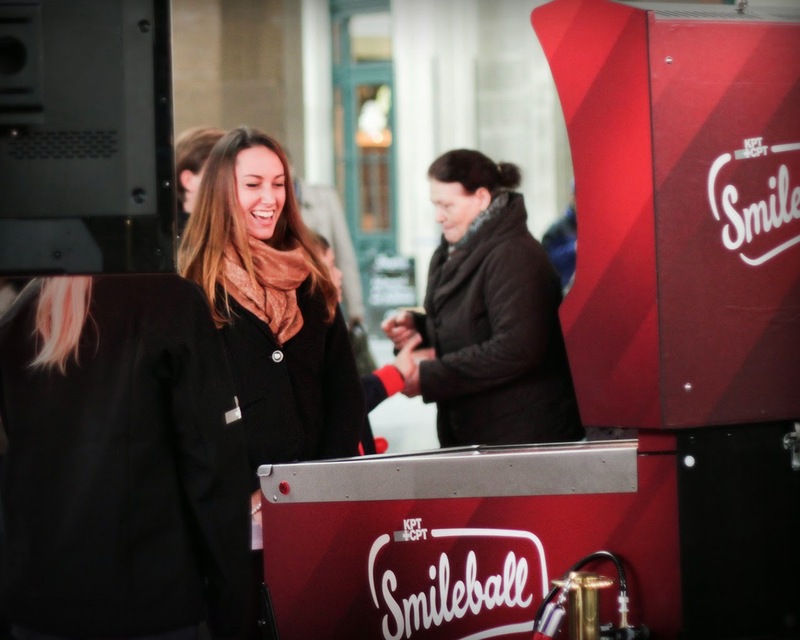 • Their Dusters are switched off for thirteen seconds.• The Speks in their Dusters are captured by the player who has dusted them.• Their positional marker (POI) disappears from the iOS and Android app on their phone.• Their efficiency percentage decreases incrementally on the Dustcloud database.• Their Mini Dossier is sent to the Dustbin in the Dossier of the player who has dusted them. Race Yourself integrates Google Glass information and presents an augmented-reality #exergame that will definitely make you see things that don't resist in reality. I'm wondering if you see a zombie rushing towards you in your Glass viewfinder if you'll duck and try to run away?! If you already have Google Glass (I'm still looking for mine in the mail?! Hint Hint Google) and you don't want to just listen to the Zombies approaching (a la Zombie Run), this free app might be for you. Race Yourself or a zombie to a fitter and maybe happier you! I know whenever I run on a virtual trail (treadmill screen) or when using BitGym's Virtual Active I tend to jump over logs and lean from side to side according to the video. I'm wondering what I might do if I'm flying/skydiving while running using Race Yourself. How much of the HUD (heads-up display) and video will you eyes and brain be able to process plus watch out for real world objects. I'm a big believer that the heart doesn't really care what type of activity it does (for the most part) and there's no difference if you're running outdoors or running outdoors with some game elements and extra visual data and feedback. It might even be more immersive than traditional #VR because you have to process both real and virtual visual stimuli. I cannot wait to try this app to see how real the zombies seem and to train with your past performances (or training partner). How comfortable are they to wear on runs given the Glass seems to be weigh slightly more on one side (right side with HUD) and will the runner notice this imbalance. Click here to read...."the rest of the story"
@SmallStepsLabs) was able pull step data from his Fitbit which could be redeemed within his Flappy Bird-like game (Tappy Fit) as wider gaps between pipes. The use of tracking data and having the accumulated steps, motion or points influence how you play a game has been discussed and profiled extensively at the Games for Health Conference (Full Disclosure: I am a Contributor to the Games for Health Project). Using an alternate fitness tracker like the Fitbit (or any number of the new fitness trackers (Nike+ Fuelband, Garmin, Basis, Withings Pulse, Fitbug, Jawbone, Misfit, Healbe GoBe), the sensors on a mobile device (GPS, accelerometer, gyrometer, WiFi, BT), or other pervasive activity trackers - the potential to impact health supporting behaviors is tremendous. 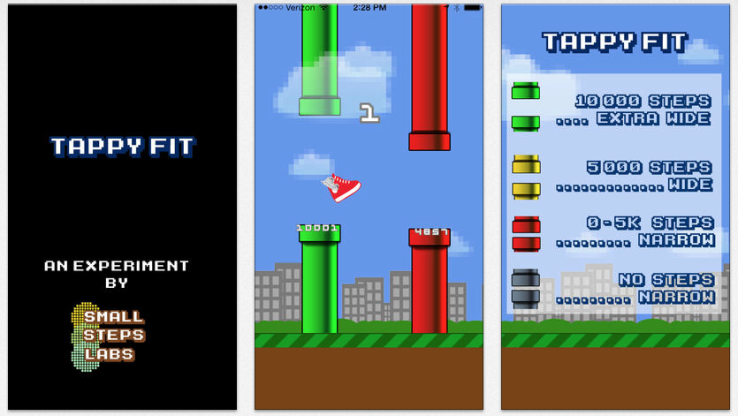 In the Techcrunch article, Coleman is quoted saying "As for how original this project is, Coleman notes that while there are lots of games that track your fitness and are designed to gamify workouts, this is the only example he can think of that uses your sum total movement over a certain period to influence gameplay after the fact. "; however, I would refine that statement by saying that Tappy Fit is probably the first to use Fitbit data to influence gameplay as there have been several examples of physical activity accumulation influencing gameplay in the past. 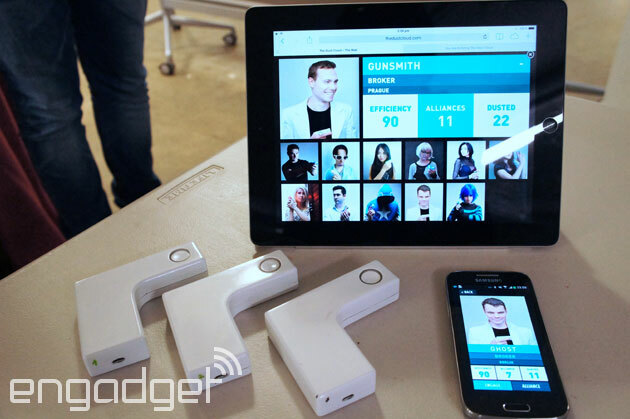 Most notably Zamzee, Zyked, Rhythmatics, ZombieRun 2, Goldwalker, PokeWalker, Fitocracy, and ME2. At the GFH Project we believe that to influence behavior change towards a healthier and more active lifestyle (i.e. 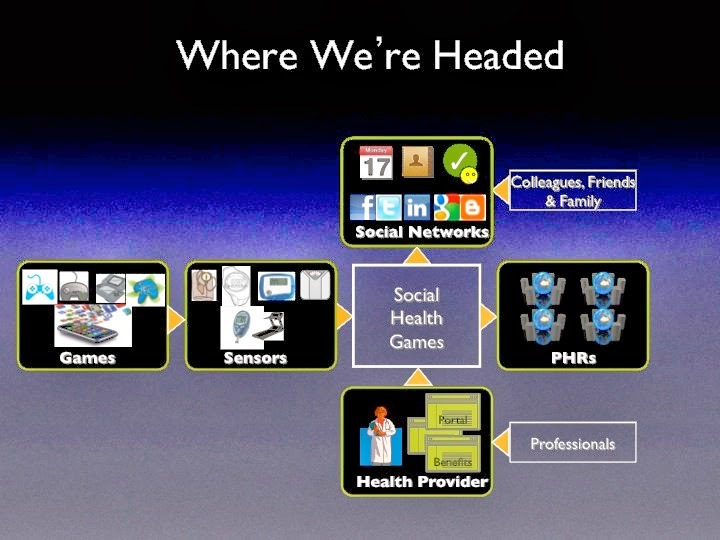 population) will come at the intersection of sensors, social networking, health care and games. I have included a slide that was presented at the Continue Alliance Fall Meeting 2010 in Seoul, South Korea. If you have more examples of devices that capture activity or engagement, that in turn influences a game (mobile or console), please comment below or contact me on Twitter (@syangman). Exergame controllers are intended to add fun to monotonous exercise. 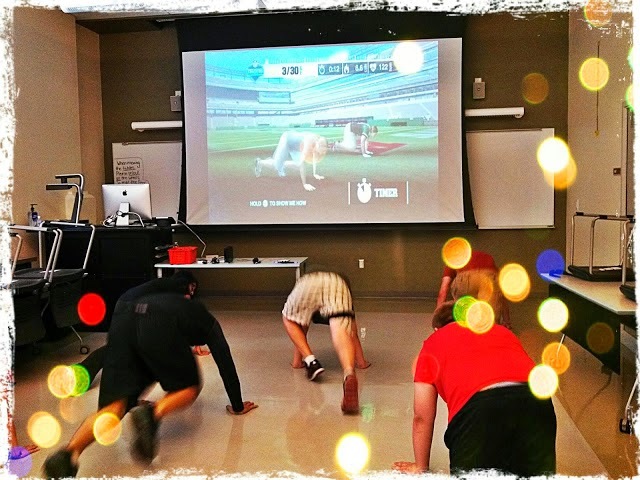 However, studies on exergame controllers mostly focus on designing new controllers and exploring specific application domains without analyzing human factors, such as performance, comfort, and effort. In this paper, we examine the characteristics of a speed-based exergame controller that bear on human factors related to body movement and exercise. Users performed tasks such as changing and maintaining exercise speed for avatar control while their performance was measured. The exergame controller follows Fitts’ law, but requires longer movement time than a gamepad and Wiimote. As well, resistance force and target speed affect performance. User experience data confirm that the comfort and mental effort are adequate as practical game controllers. The paper concludes with discussion on applying our findings to practical exergame design. 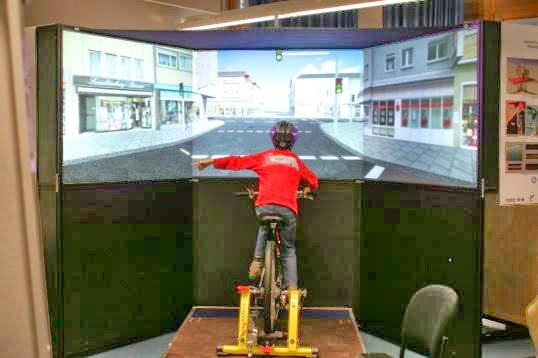 Bicycle safety just got a lot more safe and enjoyable with the FIVIS: Bicycle Simulator #exergame Project. 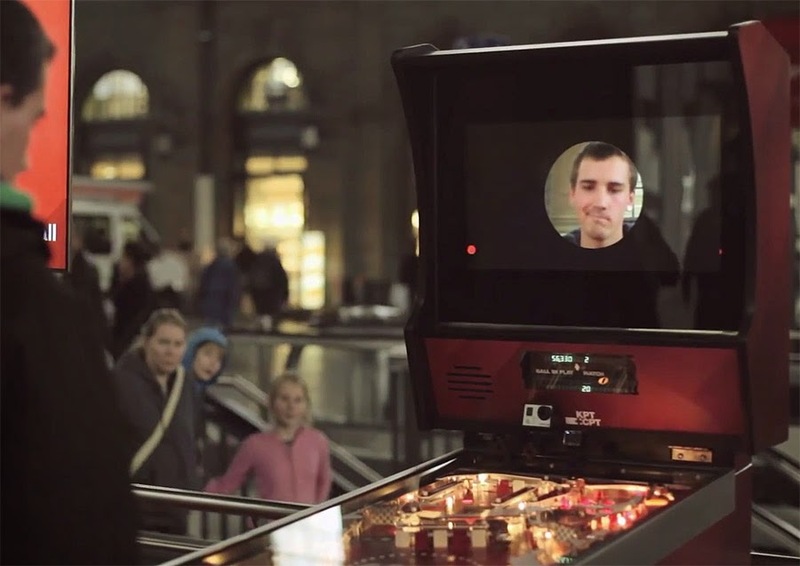 This is a German project from the Institute of Visual Computing at Hochschule Bonn-Rhein-Sieg University. Seeing Oculus Rift's recent rise in fame (featured previously) you could really minimize costs be just using the Oculus Rift and not need to have the multi display units. In fact you would have near 360 degrees of vision unlike the near 180 degrees with the FIVIS. At some point it would be neat to see eye-tracking data or incorporate a slightly unstable bike system to determine more realistic road conditions (especially of steering with only one hand, and varying road conditions and elevations/pitch). 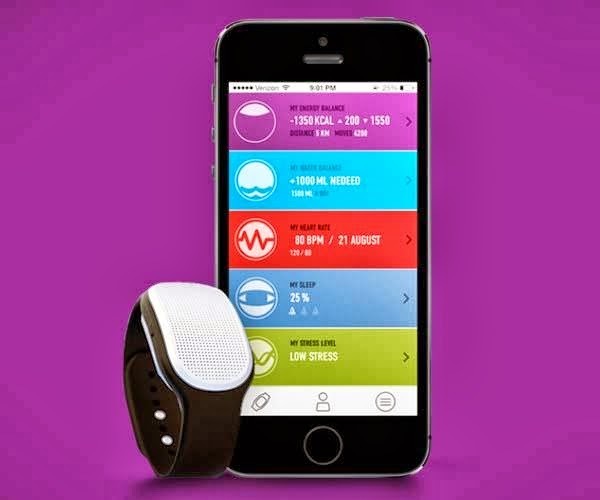 What about capturing heart-rate, blood pressure, skin temperature, and hormone stress levels or EEG? All interesting possibilites and always lots of questions. 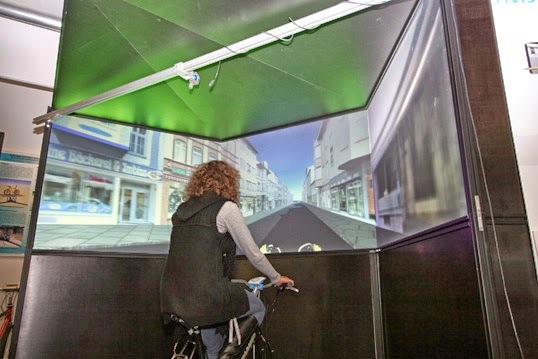 The objective of the FIVIS project is to develop a bicycle simulator which is able to simulate real life bicycle ride situations as a virtual scenario within an immersive environment. A sample test bicycle is mounted on a motion platform to enable a close to reality simulation of turns and balance situations. 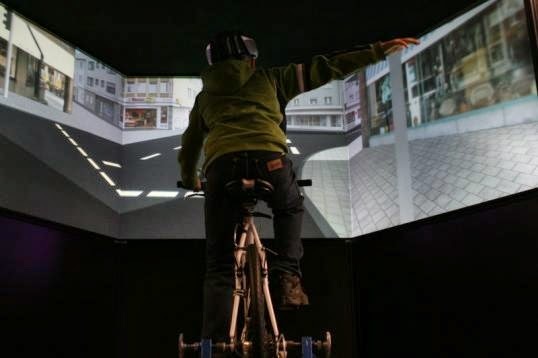 The visual field of the bike rider is enveloped within a multi-screen visualization environment which provides visual data relative to the motion and activity of the test bicycle. This implies the bike rider has to pedal and steer the bicycle as they would a traditional bicycle, while forward motion is recorded and processed to control the visualization. Furthermore, the platform is fed with real forces and accelerations that have been logged by a mobile data acquisition system during real bicycle test drives. Thus, using a feedback system makes the movements of the platform reflect the virtual environment and the reaction of the driver (e.g. steering angle, step rate). 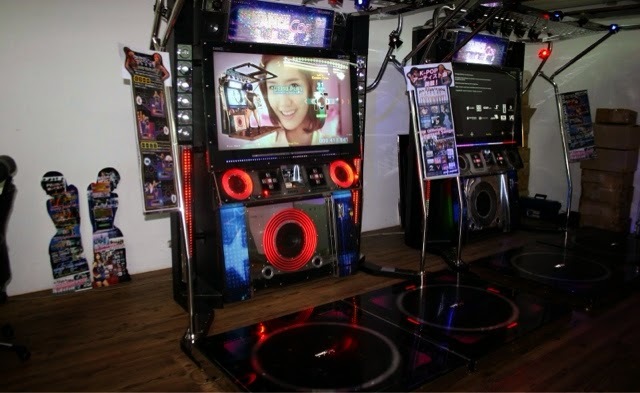 According to Arcade Heroes: "... Wahlap Technologies -producers of such arcade titles seen in the US recently such as Storm Racer, Power Truck and a couple of others – had a new dancing game they had released in China called Dance Core."